Employee onboarding is important for any worker, but when you’re hiring and training remote workers, every single company artifact—from your business’s informal culture to its basic task management—has to be passed to new hires over the internet. That can definitely make for a confusing and frustrating first few days—for you and for new employees—if they’re not given everything they need to get themselves oriented quickly. To save yourself the irritation of digging through emails, you need a good chat app, great HR and training software, streamlined onboarding tools and an easy-to-read online org chart. These resources will help new employees get the hang of their new remote role quickly, without a lot of back-and-forth in the process. 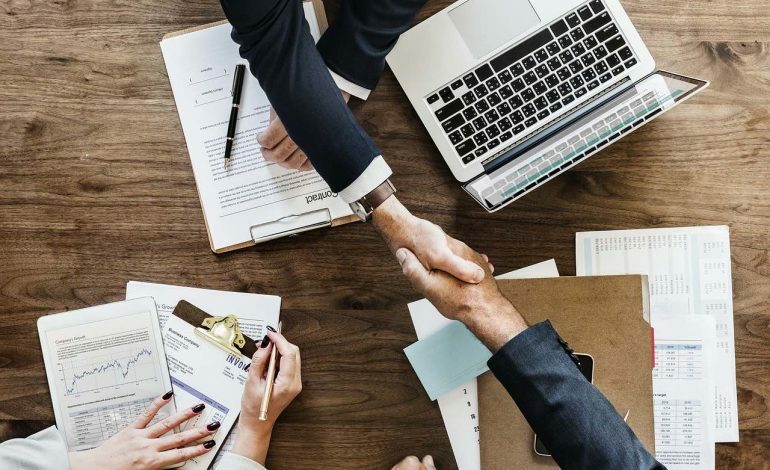 Thankfully, there are plenty of free and affordable employee onboarding software tools out there to help you accomplish just that. Here are our votes for some of the best. Documents and paperwork will only take new hires so far—so much of the real work of training employees happens in our day-to-day interactions with staff. There are plenty of aspects of your business that get communicated verbally, or even with visual cues or just the inflection in a trainee’s voice. In fact, Albert Mehrabian’s Communications Theory, one of the stalwarts of communication psychology, holds that only a measly seven percent of communication is verbal. Nonverbal signals like body language and tone of voice make up approximately 93% of human communication on average. Therefore, a video chat app is imperative to that kind of daily communication. Slack is one of the most popular tools to accomplish just that. 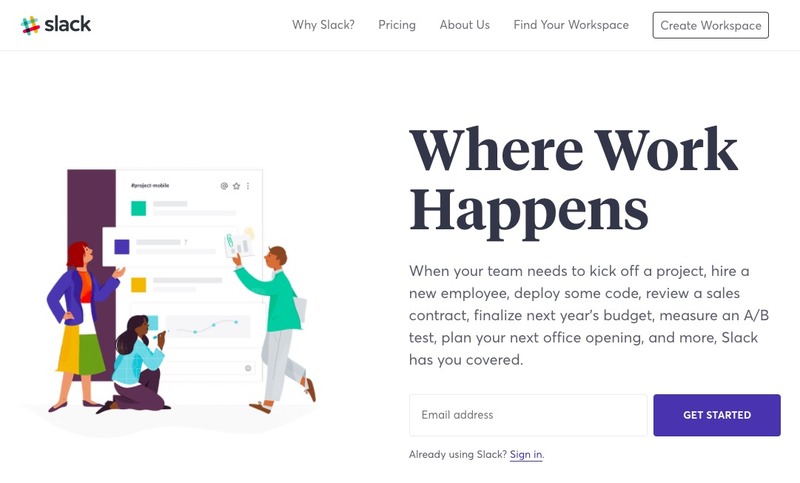 Slack lets you text coworkers, sure, but it also makes it easy to launch informal video conferences and coworking sessions so you can get those much-needed visual cues. Remote working has never felt so personal! Get ready, because the future of employee training is here! Chatbots represent the next iteration of business automation, designed to talk new hires through the finer points of your business. 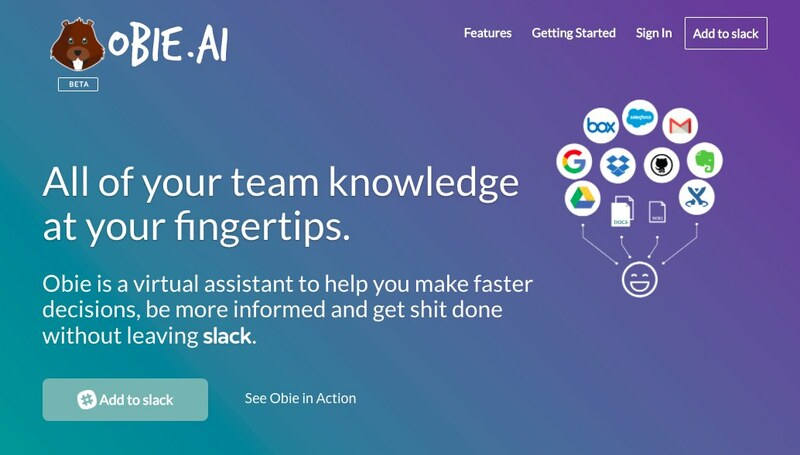 Obie.ai is a learning software that integrates with popular business applications, like Google Docs, Dropbox, Slack and Confluence. Using natural language, your new employees can ping the responsive chatbot, Obie, to help answer any and all of their questions. Obie can point them to particular steps and pages in process documents, for instance, or help them identify and access company assets, like your logo font. All in all, it’s a great way to keep constant emails and chat messages at a minimum as remote workers navigate their first few days in their roles. Zenefits has been called an HR disruptor—and for good reason. 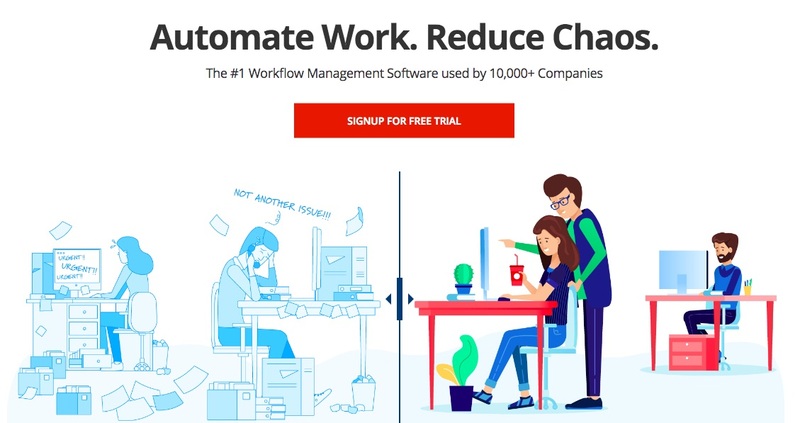 New startups and burgeoning small businesses love this free tool for its HR automation, especially remotely-staffed companies who don’t have the capital for a dedicated HR team member. Zenefits prides itself on offering a fully-featured HR solution, including payroll, benefits management, compliance oversight and productivity insights. On the employee side, users can instantly see their next pay date, review pay stubs, complete paperwork and manage their insurance benefits, all from a SaaS platform that can be used on employees’ tablets or mobile devices as well. Zenefits integrates with G Suite, Salesforce, Slack, and Office 365 for a totally smooth employee experience—no matter where your staff works. Gusto comes in guns blazing, claiming to shave two hours off every employee onboarding experience. We can’t speak to those statistics, but Gusto does come with some enviable features that make remote hiring and training a lot more streamlined. It all starts when you send an employee job offer through the app. From there, Gusto takes the lead, navigating new hires through direct deposit forms, tax documents and the like. Employees can then begin introducing themselves directly through the app—a great feature if you’re trying to build a community of remote workers. We’ll be honest: this app really brings out our inner nerd. 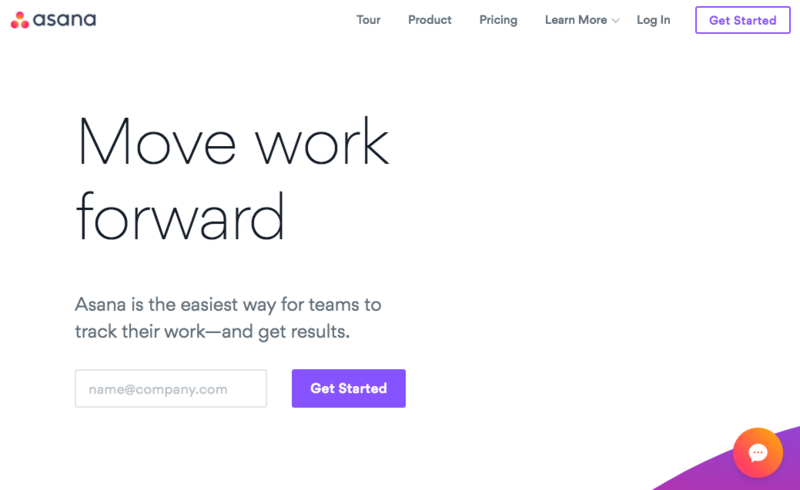 Kissflow’s aim is to help you automate any workflow in your company—from the development lifecycle to employee onboarding. Users can choose from over 50 pre-programmed workflows, like sales invoices, employee onboarding, refund requests, or marketing campaigns. From there, you can create custom forms and workflow diagrams and set permissions for each step. After you initiate the workflow, it’s easy to see what’s been completed and to review workflow progress. You can even create custom reports to see how effective each workflow has been. After all, why should workflows be so much work? 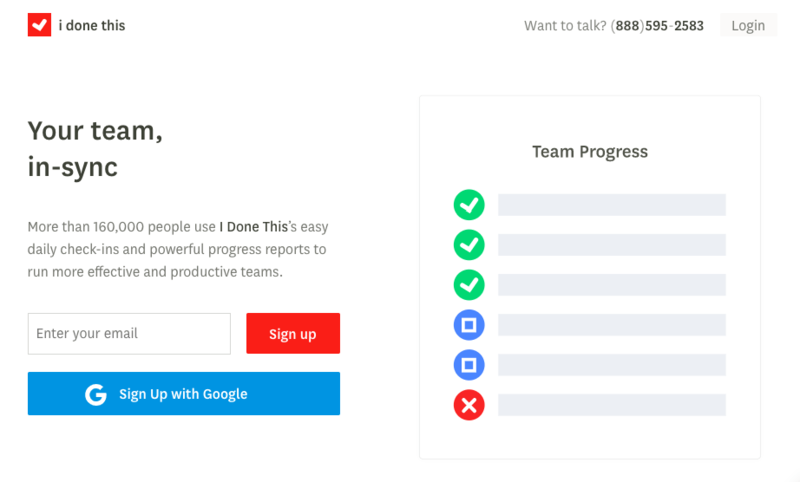 Asana boasts that their app will make your team up to fifty percent more efficient. While it’s mainly advertised as a tool for project management, Asana is so much more than just your typical project management software. To start, onboarding remote workers is a breeze with all of the ways you can communicate and share information. Teams can easily track their projects from beginning to end, with each step or task required clearly laid out in steps. Not only will you be able to track what tasks and projects have been completed by remote workers, but the app also allows workers to keep track of what still needs to be done. Asana can also be used for time tracking, meetings, and much more to get your projects done in the most efficient way possible. With Scoro, you can basically operate your entire business and manage a remote team from just about anywhere. 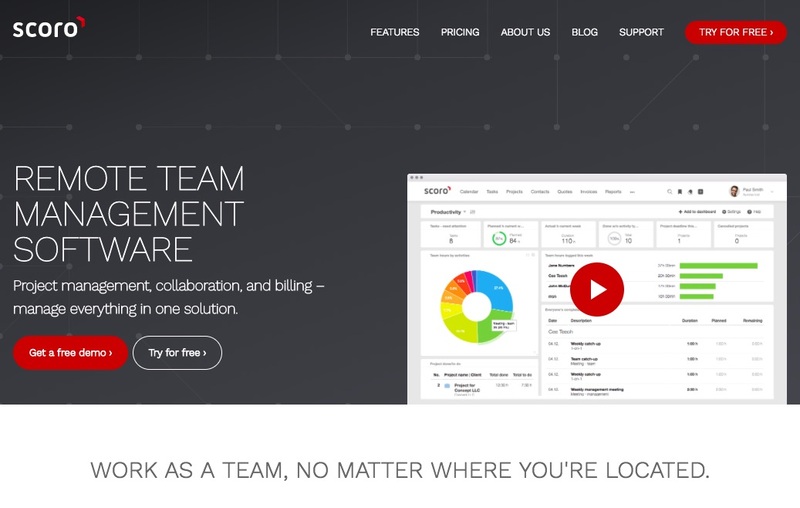 The online work management software not only makes remote employee onboarding easier, but it also features tools to help with project management, employee collaboration,sales, billing, and support. Scoro provides an instant overview of your entire team, allowing you keep track of progress on projects, from tracking time to real-time reporting of completed work. The app is another project management dream tool, giving you the ability to manage an unlimited amount of projects, tasks, and subtasks. Delegating tasks with planned time, priority levels, deadlines, and more is also a pretty handy tool to have, making it easy to remember who is working on what. Scoro also features file sharing and commenting on joint tasks and projects. IDoneThis is fairly self-explanatory with its name as to what the purpose is of the employee management tool. The app designed for working with a remote team basically compiles what each team member has worked on and sends a recap in the morning to keep everyone in the know of things going on within the team. Each person can document what work they have completed each day, giving team members rewarding feeling and a sense of pride in their accomplishments. Teams, especially those that consists of remote workers, often deal with the problem of things being spread out across too many platforms, such as documents, chat messages, emails, etc. This can make important information difficult to find and easy to miss, which can lead to extra work, wasted time, and miscommunication. An app focused on chat or just project management just isn’t able to fix such a large problem. The tool can be used to get new hires up to speed and on the right, as well as a place for chatting, brainstorming ideas, planning and executing projects, and sharing documents and pictures. It’s a “one-stop-shop” for every aspect of team collaboration. From message boards and group chats to schedules and to-do lists to file storage, Basecamp virtually has it all. 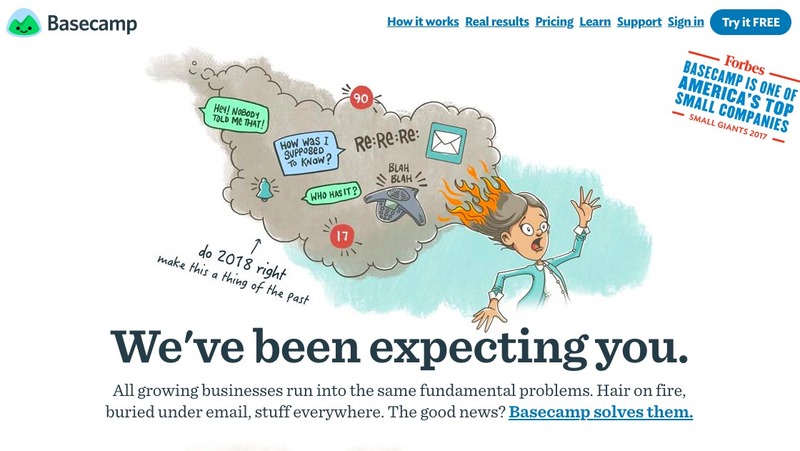 The company also boasts that “89% of customers say they have a better handle on their business since switching to Basecamp.” Every member of your team will know what they’re supposed to do, and you’ll know exactly what’s going on. Want to make employee onboarding even easier for yourself? Say hello to BambooHR’s employee self-onboarding. You’ll hardly have to do anything. Welcome emails and team introductions make it possible to quickly introduce new workers to the business and the rest of the team, and the software’s new hire packet makes it quick and simple to got all of the basic information and paperwork needed for them to get to work thanks to electronic signatures. Spreadsheets full of information will also be rendered obsolete. BambooHR features several other tools to make the HR aspects of your business easier, smoother, and more efficient; such as performance management, reporting tools, and more. Lessonly is more of a modern learning software designed to accelerate productivity, but it has features that can be used for onboarding as well. 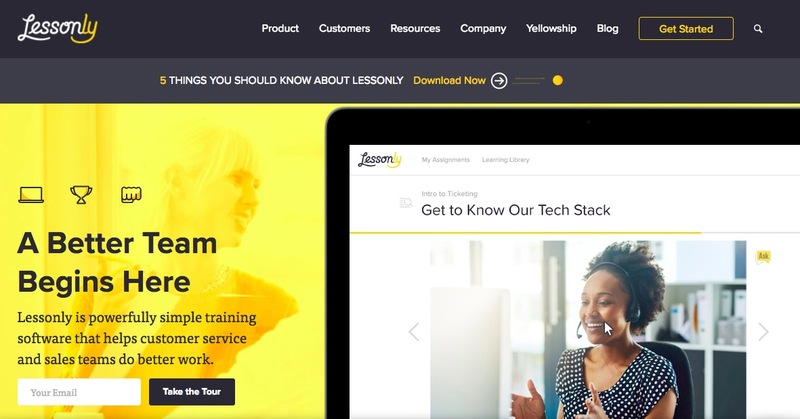 According to its creators, more than five hundred teams use Lessonly to transform important work knowledge into Lessons that teach new employees everything they need to know. You could say it’s basically training software, but it’s actually much more than that. The app allows you and your team to access important work documents, powerpoint presentations, and more anytime and anywhere, on any device. It’s designed to get new hires up to speed quicker and with the confidence of knowing what they need to in order to get their work done. Updates to Lessons can be done in just minutes. Lessonly provides workers with the opportunity to practice and repeat Lessons, as well as get valuable feedback from you. The software also features the ability to track work and other projects, as well as integration with other platforms like Slack, Salesforce, and Namely. Just about everyone would agree that paperwork is one of the worst things about starting any job, and just about anyone would appreciate being able to complete all the necessary documents online and from their phone. WorkBright is the answer to this often necessary evil. The software takes everything required for onboarding new employees and puts it all online in one place. New workers to fill out important documents like W4’s, upload any necessary identification, and sign documents with electronic signatures. All of this can be done from virtually any device, whether it’s a laptop, a tablet, or a smartphone. 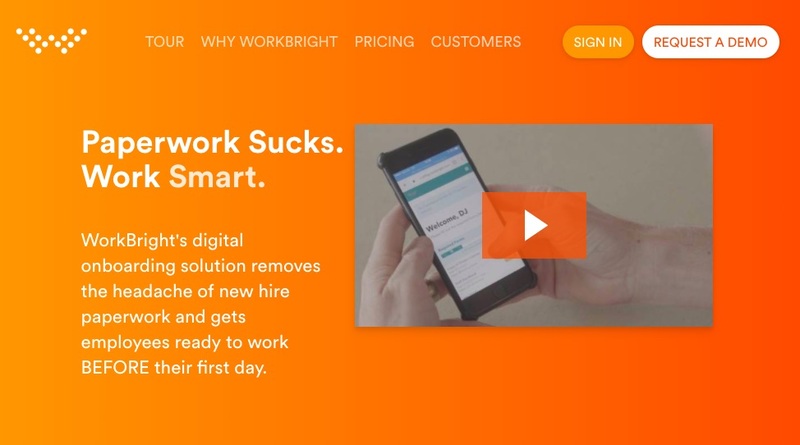 WorkBright is also the answer to all of your new hire email-flooded inbox. All employee communications and forms are handled within the app, with a secure audit trail tracking each interaction. 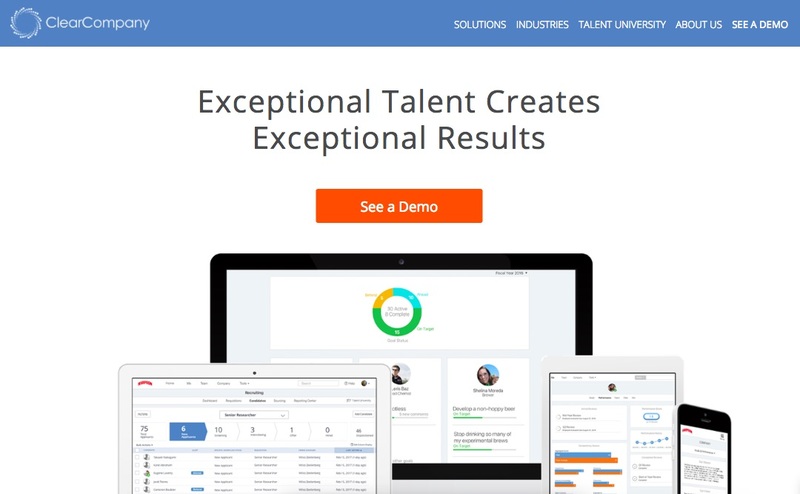 Want a user-friendly, all-in-one HR platform that won’t cause your employees to complain every time they need to use it? Enter Namely. The all-in-one platform for onboarding new hires and managing employees is designed towards small to mid-sized businesses, making it a great tool for smaller teams that may be made up of remote workers. The easy-to-use, powerful technology behind the software enables Namely to be used to manage payroll, benefits, and time. The company claims that “75% of clients say Namely has increased employee engagement, and 72% say Namely has made its employees productive. One of the reasons why the software is appealing to the employees who use it is that the user interface resembles popular social media platforms, like Facebook and Twitter, that they’re already using. 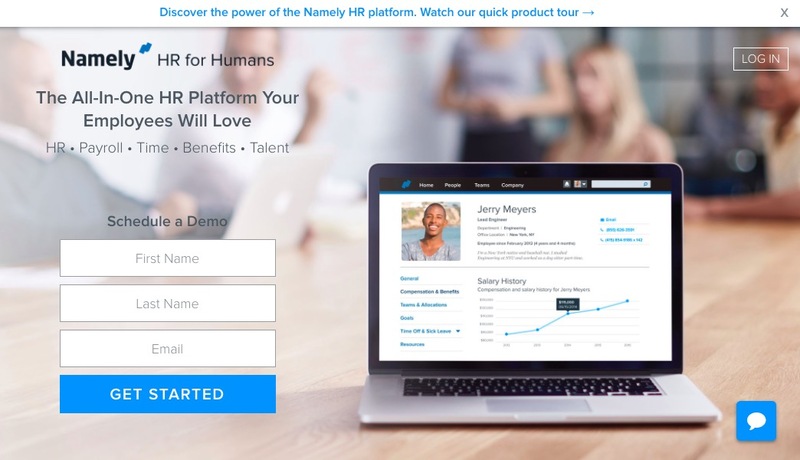 Basically, Namely offers a unique, social-like employee portal that save you time and increases employee engagement with your company culture. 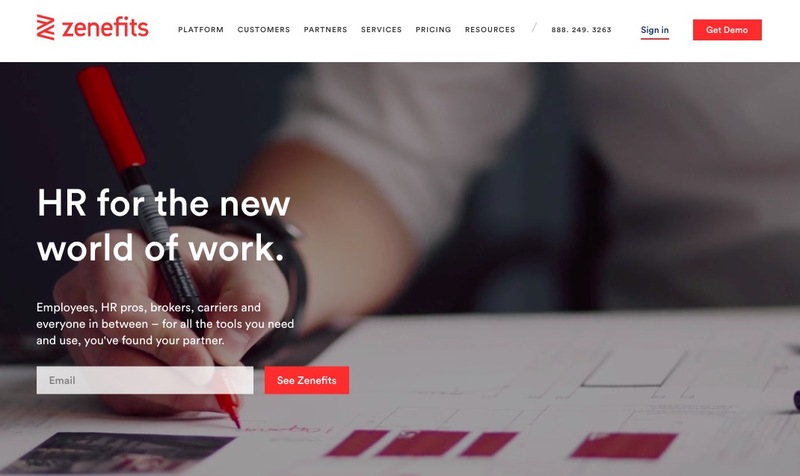 Sentric Onboarding offers tools needed for you to get your done more efficiently, as well as tools to help both your business and employees grow. Sentric organizes all of your business’ important processes, documents, and employee information in one platform, saving you time, money, storage space, and most importantly, your sanity. Its user experience is also one of the better ones among onboarding apps. Employees become more engaged with your business by giving them control to enter the data you need. 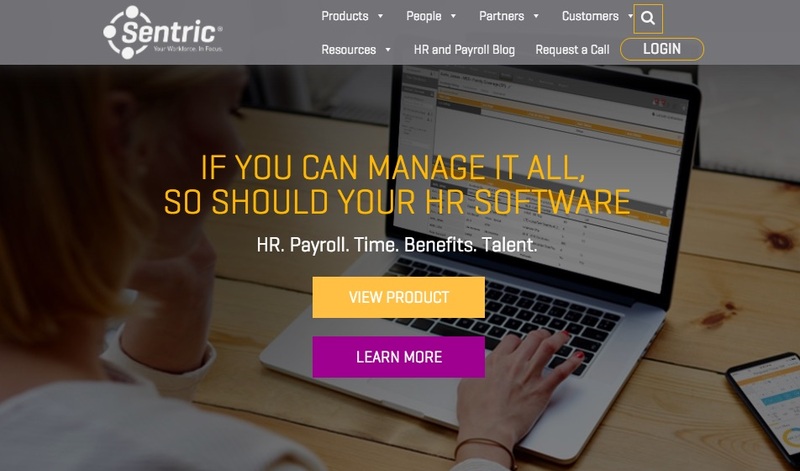 Sentric Onboarding also handles the most complicated calculations with payroll, and brings all of your important HR functions together to create reports that will show a complete picture of your business. Travitor not only streamlines the onboarding process for new hires, but also serves as a place for your team to find all the resources they may need. Even before the whole new employee onboarding process, Travitor can track candidates throughout the hiring process, as well as assign pre-interview tests. Potential employees can even upload videos in addition to documents. The app also serves as a learning tool for your employees. You can create learning plans for each team member, provide important work knowledge for your teams, and make it easier for employees to learn everything they need to know about the business and what it offers. Travitor is especially useful for managing remote workers with its features that allow you to communicate updates, products or services, and feedback. You can also keep tracking of all the work being done by your entire team no matter where they are in the world. Videos, documents, and more can be used through the app to train employees to help you get projects done and reach your business goals through an interactive learning experience. Travitor promotes learning, collaboration, and communication among all team members; as well as easy admin controls and reporting to manage everything you need to have a productive team. With its digital onboarding features, new hires can sign contracts and documents with electronic signatures, as well as upload their tax and banking information in only a few clicks. Important employee information such as role, personal, and contact information, is stored securely with the ability to easily update the information as needed. With everything collected from new employees online, the onboarding is more productive and faster than ever. 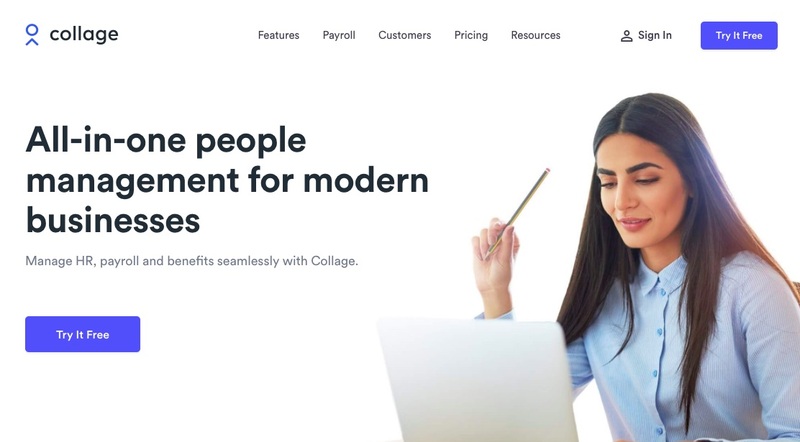 Training and onboarding tasks are simplified through Collage’s app as well through automated training, email reminders, and re-usable task banks. Want to have a constructive conversation with your workers, but not sure where to start or what exactly to ask? Collage provides many template questions to help you get started. Quip is a real-time software platform for sharing and editing documents, allowing you and your team to easily collaborate on shared projects. There’s even a useful notification tool. All you have to is mention a team member in the document, and the app will notify them. New employees, or those added to a collaboration later, can easily get up to speed with the help of conversations displayed alongside the material that’s being worked on. Quip is so much quicker than an email thread, and far more productive than a long meeting or conference call. It’s a collaboration-focused team’s dream. Live Apps, calendars, videos, images, Kanban boards, and more can all be easily shared among the entire team for a more efficient workday. Tasks and projects can be completed faster through @mentions and comments to an Live App. MentorcliQ Employee Mentoring is a different way of onboarding new employees. The ATD-award-winning mentoring software offers an easier, smoother way for you or other current employees to mentor new hires as part of the onboarding process. While mentoring has been around nearly forever, it may be new to your new hires. In order for you business to be successful, your employee need to know their roles and what they need to do. This easy-to-use software provides personalized training and resources for all of your employees. ClearCompany offers an easy, mostly automated onboarding process through automated online delivery, tracking, collection, and storage of all the necessary onboarding documents and forms. The software saves you money, time, and errors through the software’s smart forms. Your days of tedious, redundant data entry will be over. The app’s beautiful portal gives new hires a personalized introduction to your company with all of the information they need. It can also be accessed from any device, making it convenient for everyone. Automated workflows let you easily set deadlines and reminders for both new employees and your existing team. Onboarding new employees is an important process, and oftentimes a time consuming one. The good news, however, is that there are numerous different employee onboarding software apps to help make this process quicker, more efficient, and painless. Everything, from company culture to basic project management, can be done through online apps. Gone are the days of a frustration and confusion with the help of onboarding and project management apps. Your remote workers will have everything they need to get oriented with your business and start working easily and in no time at all. Save yourself the time and headache of digging through your emails by using one of the apps from our list. A good chat app, HR software, onboarding tools, and more can help you and your team be more productive and reach your business goals sooner. What’s better is that some of the apps mentioned above have everything you need all in one platform, saving you time and money. Erin Vaughan currently resides in Austin, TX where she writes about workplace culture and human resource solutions for Pingboard. Pingboard is real-time, collaborative org chart software that makes it easy to organize teams, plan for growth and keep everyone informed.